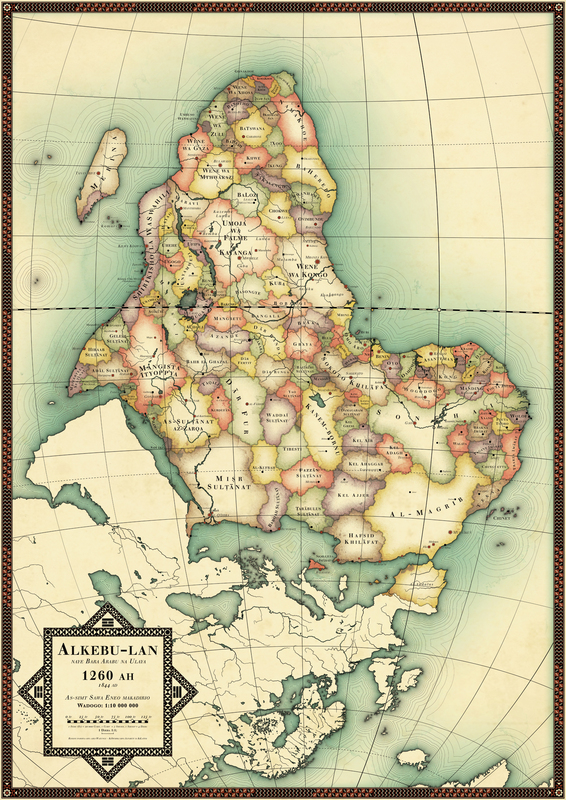 Swedish artist Nikolaj Cyon has made a popular map showing Africa today as if it were “never colonized”. Allegedly, Alkebu-lan is an Arabic phrase meaning “land of the blacks” – supposedly an original name for Africa. Cyon notes in a presentation that the map represents the culmination of an alternate history where the Black Plague killed significantly more Europeans than was actually the case, presumably reducing the amount of early colonization which would have occurred.